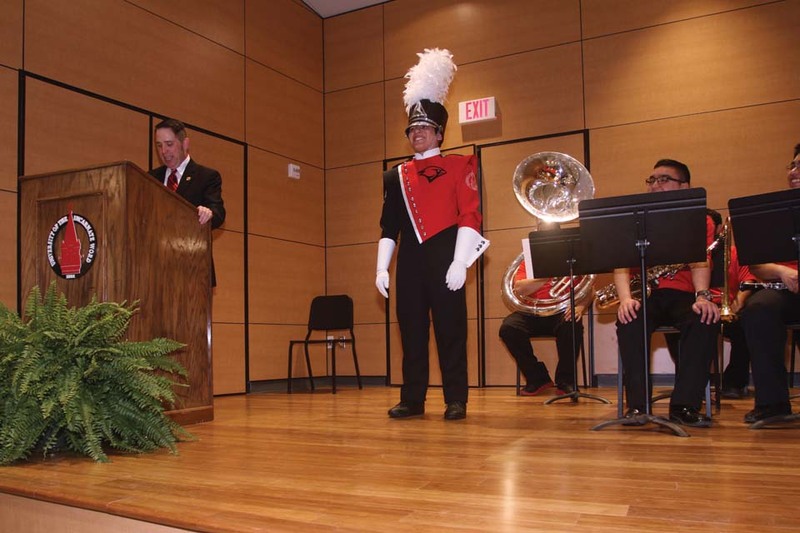 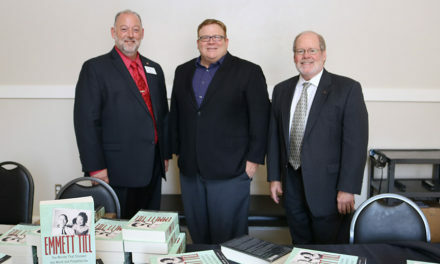 On March 4, the community was invited to a special unveiling of the new Marching Cardinals uniform and tour of the new UIW Music Building. Dr. Brett Richardson (left), assistant professor and coordinator of music education, presented the new band uniform, modeled by music student Arnulfo Hernandez. 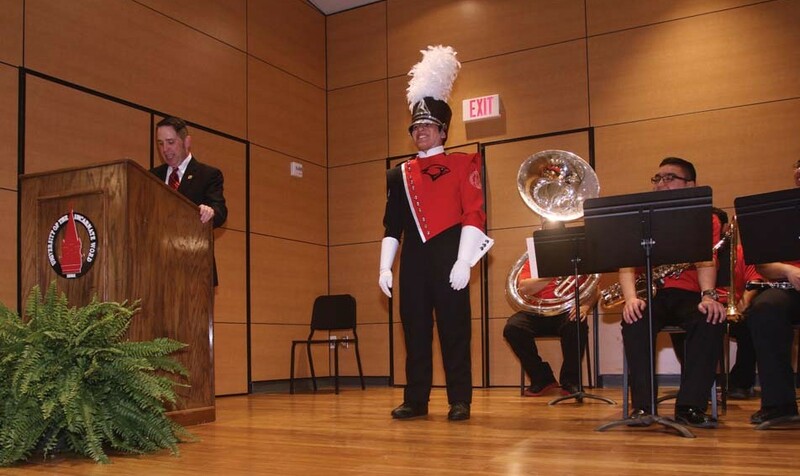 The uniforms were custom designed by Fred J. Miller, Inc. and were debuted by the Marching Cardinals during the Fiesta Flambeau Parade on April 25.